all recorded live in one or two takes most, using a roland mc 505, roland aira tr8, some fx pedals, recorded in cassette on a tascam 424. wich is the same set up i use to play live today. i cant remember now , but maybe 2 was recorded directly in the computer, live,in 1 channel. 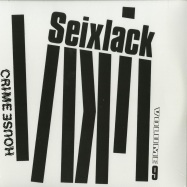 dj haus ever-expanding deviant house music empire continues to impress with another installment of house crime, this time committed by szch. 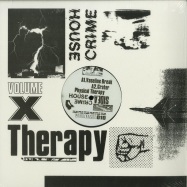 the 12inch kicks off with the fast and freaky girl i neva which borders on juke levels of nagging sample chops, before the script gets crumpled up and tossed at the bin with the wonderfully scruffy rave deconstruction of peugeot 106 at sunrise (pingers mix). unconditional (edit) brings something a little smoother to the mix, although that underlying weirdness that comes with house crime releases is still lurking in the wings. ukljucen ti je blutut finishes the ep off in a rowdy yet reflective style long may the strange tale of house crime continue. 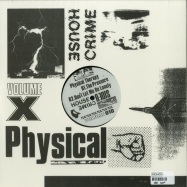 physical therapy drops 4 lo-fi house ghetto technoid jams on house crime marking the series 10th edition! 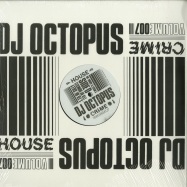 dj octopus has been busy in the last few years, appearing often alongside steve murphy on labels like love notes, chiwax, hot haus and shall not fade. on this new double pack for house crime he goes it alone, bringing the kind of raw, off-kilter but ultimately fun vibe that the label seems to plump for. born in 86 is an absolute head driller of a track, looped up but utterly addictive, while diastemia offers a very different kind of disco-infused groove. this personality split runs throughout, ensuring there s never a dull moment diving into any of these sides of wax. check the toy is mine if you need proof that octopus knows how to throw it down. 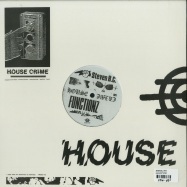 house crime bounce back into the mix following the utterly essential steven bc release with this sixth jaunt through tough and rough beats from the backalley of the house music story, this time narrated by anthony fade. the drums are dirty distorted machine splatters, the synths wobble under the weight of their own fuzziness and the samples crunch like they fell prey to the ropiest of mpcs, and that s precisely why fade s jams are so damn hot. wild 9 (acid mix) is especially potent, using a simple but deadly 303 line and all kinds of hectic textures, and bout it manages to make melodic deep sound as mean and nasty as it ever should. miamis dj club 1235 drops 5 club bombs on house crime. 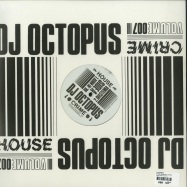 stripped back ghetto houz jack at its most defined! gundagas dj boneyard has been overheating car stereos in the outback with his super limited cassette mixes for a hot minute! 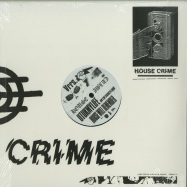 here he drops 4 ghetto tech houz bombs on house crime records. hot on the heels of house crime vol.1 - were back,australians mall grab, steven b.c pair up with usa s jeremy castillo, vin sol & lawrence lee for 4 tracks of ghetto-tech-houz madness!